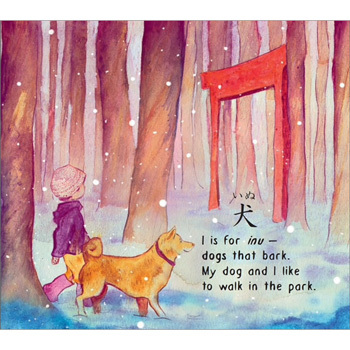 My First Book of Japanese Words is a beautifully illustrated book that introduces young children to Japanese language and culture through everyday words. The words profiled in this book are all commonly used in the Japanese language and are both informative and fun for English-speaking children to learn. 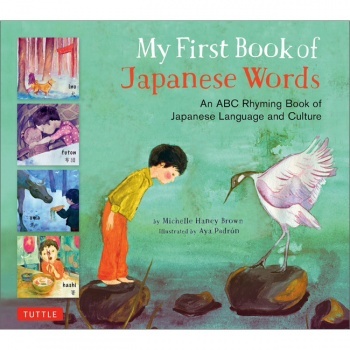 The goals of My First Book of Japanese Words are multiple: to familiarize children with the sounds and structure of Japanese speech, to introduce core elements of Japanese culture, to illustrate the ways in which languages differ in their treatment of everyday sounds and to show how, through cultural importation, a single word can be shared between languages. Both teachers and parents will welcome the book's cultural and linguistic notes and appreciate how the book is organized in a familiar ABC structure. My First Book of Japanese Words is suitable for introducing Japanese words to English-speaking children. Each word is presented in Kanji (when applicable), Kana, and Romanized form (Romaji).